PAN Trinbago president Beverly Ramsey-Moore yesterday presided over an often times heated special general meeting of the organisation. The meeting took place at the Communication Workers Union Hall on Henry Street in Port of Spain. The media was not allowed on the premises to cover the meeting. Up to press time, the meeting was still in progress. At times, tempers flared as some members complained bitterly about not being paid their remittances. Ramsey-Moore previously told panmen not to expect any stipend for 2019 and 2020. The $1,000 stipend for players for 2018, however, is still outstanding. "I want my money! My children bawling! I want my money now," one man was heard yelling. The man was escorted outside where other members tried to placate him. He eventually returned to the meeting. One woman was heard saying the young players in one band will not come to practice if they are not paid. Another woman who came in and out of the meeting frequently kept saying, "We are in a real mess." One Pan Trinbago official insisted to Newsday that the media were not allowed inside the meeting. A third woman was heard saying pan players come from grassroots communities and nothing was being done to help them. A man who left the meeting refused to comment on what was happening inside. Ramsey-Moore was heard assuring Pan Trinbago members that efforts are being made to address their concerns. "Give me a chance to fix it. Give us a chance to fix it," she said. While Pan Trinbago received a $30 million allocation last year, Ramsey-Moore said this year's allocation was $20 million. "I can assure you we will continue to ask for additional allocation," she said. Ramsey-Moore said Pan Trinbago could not approach a certain commercial bank for funding because it owes that bank. 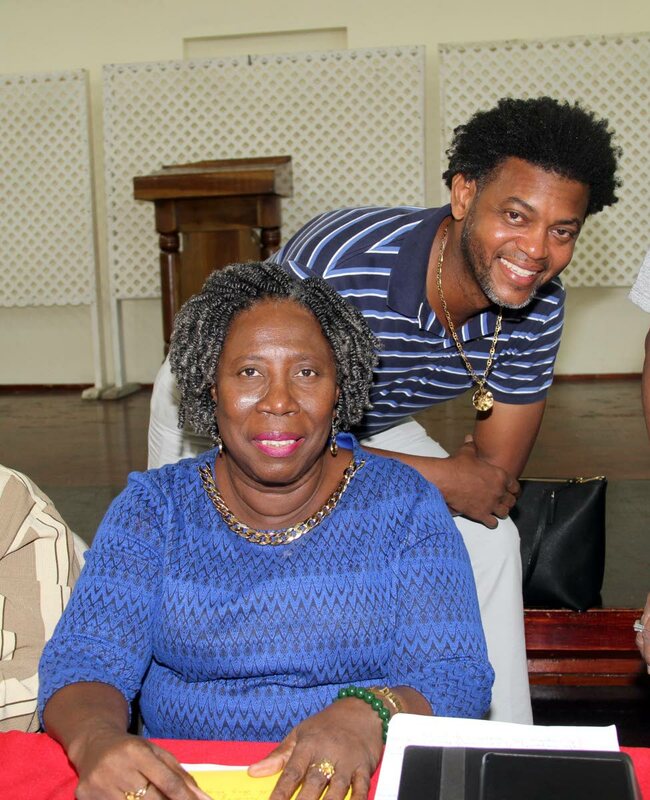 She reiterated her call for unity amongst Pan Trinbago members. "We are not afraid. We will work to ensure that we will lift ourselves out of this." But Ramsey-Moore said things will have to be done differently. "We allowed this to happen," she said. Ramsey-Moore recalled that gate receipts at Panorama used to be in the vicinity of $7 to 8 million at one time. Last year's receipts were approximately $2.8 million, Ramsey-Moore said. "Where did the money go?" she asked. Ramsey-Moore hinted that Pan Trinbago was prepared to go door to door, to seek funding from corporate TT. She said a statement from Heritage chairman Wilfred Espinet about the company not sponsoring any steelbands was unfortunate. Ramsey-Moore called on him to retract his statement. She said while some people may not want to fund Panorama, they may provide funding for other things. Bands will have to be innovative in raising funds. Ramsey-Moore also urged members to ensure their financial records are kept up to date. She promised to spend the rest of this week , working with Pan Trinbago's executive on a development plan for the organisation. Reply to "Tense Pan Trinbago meeting"